If you want to use for lighting your apartment or house spotlights need to think in advance some of the nuances. Required number of lamps – is one of the first questions that may arise. To solve this problem, you need to consider many factors: floor space, ceiling height, degree of natural lighting, the presence of other light sources and so on. Measure the area where you want to install lighting. Number of lamps per 1 sqm of the area depends in the first place, from the power lamp. 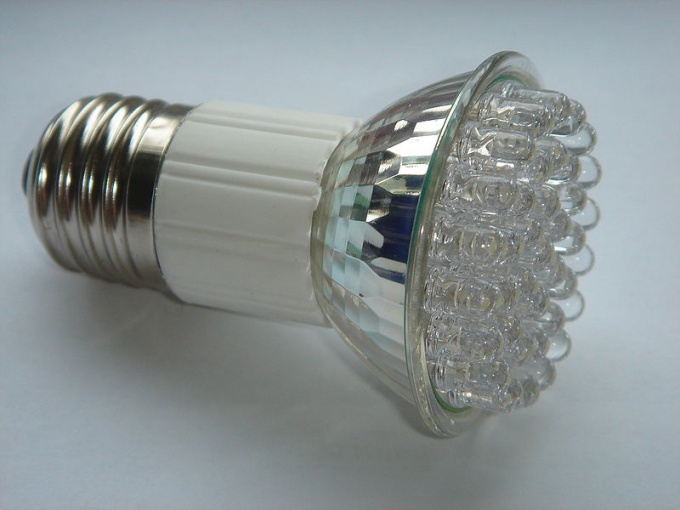 If the bulbs in the lamps have a capacity of about 35 watts, you need to install one lamp per 1.5 sq. m. There is a rule that distributes the lamps: each 1 sq. m. area shall be illuminated 20 watts. If spotlights are to be installed as a Supplement to the main lighting, such as chandelier, it is possible to reduce their number or place in a specific zone for illumination. The minimum distance between the point lights should be about 30 cm And the angle from wall to the lamp is about 20 cm. 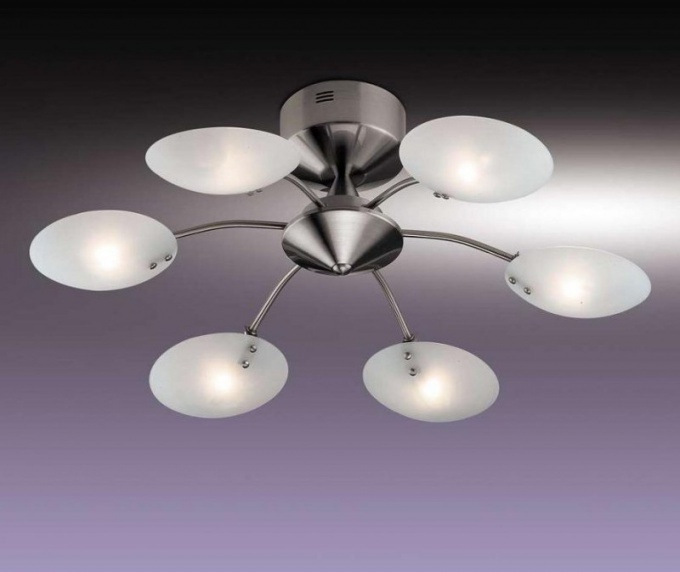 In stores you can find numerous types of spotlights. They differ in the direction of the flow of light and the type of dispersion. There are spotlights, equipped with a rotating mechanism, thanks to which you can easily adjust the light direction. You can also find lamps with lamp placed outside. They usually have an external canopy that allows to increase the angle of light leakage. These lamps will need less, as they are able to cover a more extensive area of premises. Position the fixtures using various options. 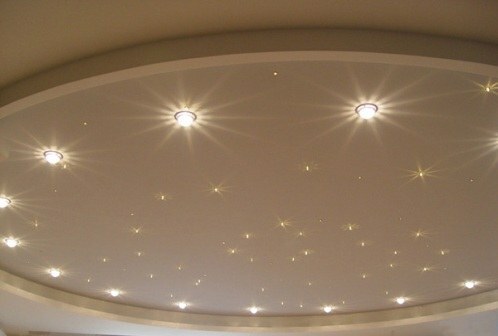 The most popular way is located in two or more rows of the perimeter of the ceiling. You can position lights in the shape of a circle. When covering a square room take the advice of designers and position spotlights in the corners of an isosceles Pentagon. For uniform illumination of the room use the chess position. For proper illumination of rooms, corridors or free-standing object, such as aquarium, you need to determine the appropriate type of lamp: number, location and capacity of the installed lamps. There are a few rules, doing that, just to perform this task. For the General calculation of the lamps use the following formula: P=pS/N, p –power, the specific lighting, measured in Watts per square meter (the average is 20 Watts per square meter), S is the area of the premises, for which this lamp is calculated in square meters and N is the number of lamps. Example: calculate the room measure the length and width of the room. The results obtained (for example, 3.3 meters long and 4.5 meters wide) between multiply and get the area of this room (3,3 × 4,4 = 14,85 square meters). This figure multiply by 20 and divide by the expected number of bulbs in lamps. For example, take the 3 lamps on 2 lamps in each. In this case, 14,85 multiply by 20 and divide by 6 (3×2=6). Get the result, which means that in this case, you have 6 lamps at 49.5 Watts. Can vary the wattage in each lamp, dividing the room into several zones with different lighting. The total power of all lamps in the room should not be less than 297 Watts. Storage room, garage..............12-15....................11-14....................3-5Здесь, to calculate, for example, lighting in the kitchen (area 3 meters square) with the use of fluorescent lamps, take the coefficient of p (average 9) from table, multiply by the kitchen area and if you will be trehrozhkovye lamp, divide by three: 9×3/3 = 9 Watts in each of the three installed in the lamp bulb. The lights in the house not only affects the health of the eye, but in some way has an impact on the brain, contributing to a good rest. Therefore, choosing lighting, choosing the right wattage, you must correctly calculate the illumination of the room. - data on power density for lighting (R). Use the special formula for approximate calculation of power lighting. It has the form: P=pS/N, where p is power density for lighting, measured in W/m2 ( 20 W/m2 – average), S denotes the area of the premises calculated in square meters, N is the number of lamps. However, such a calculation can give a rough result. As the requirements for illumination of various premises quite different, depending on the type of premises (for example, in the hallway or the bathroom light should be less than in the living room). Also the lamps depending on the type also deliver different quantities of light (such as fluorescent and halogen). For a more accurate calculation of illuminance of a room, using the formula P = pS/N, keep in mind that the value of p should not take the average value (20 W/m2), and in accordance with the value of power density for lighting for this type of room. There are special tables, calculations of indicators of specific power for lighting, taking into account the type of premises and type of bulb. You can find them online, on sites dedicated to this issue. When calculating the power of lighting, take into account that it can be shared – basic (chandeliers, pendants, etc.) and local (floor lamps, wall lamps, floor lamps, tochechnyi etc). And when you need to calculate the illuminance, regardless of whether you do a calculation of the local or the main lighting, you need to consider what different lamps give different luminous flux, brightness and intensity. For the main lighting, use chandeliers and ceiling lamps which have lampshades made of opal or frosted glass or lamp with frosted glass. Light streams in them a soft, broken. Such a light source can illuminate the whole room evenly. If you want to achieve the opposite effect, use lights that have a reflective surface or use in such lamps the lamp with a reflective surface. Reflective layers can be applied closer to the base on the lamp bulb. Use this light to illuminate a certain area of the apartment. If there are people who have vision, when calculations consider this, increasing the power density lighting (p).